UEFA president Aleksander Ceferin announced Thursday that European football’s governing body will launch an Over The Top (OTT) streaming platform for football matches. 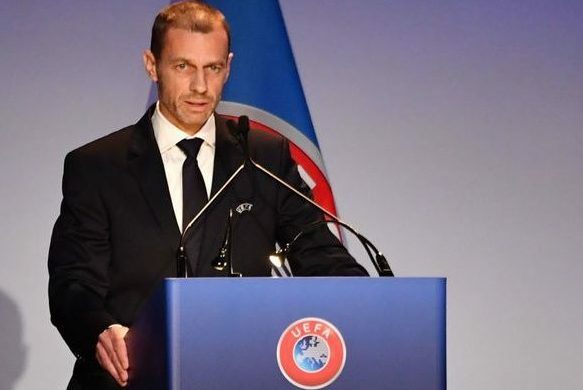 Ceferin, 51, who was re-elected unopposed on Thursday for a four-year term as UEFA chief, said that the online streaming platform will broadcast women’s and youth matches within the next six months. “I am pleased to announce that UEFA will be launching its OTT platform in the next six months,” said the Slovenian. “We are fully aware that a revolution is under way and are in the process of agreeing historic partnerships with the world’s leading companies in this field. UEFA secretary general Theodore Theodoridis said the service would be available by June, and would also broadcast content linked to UEFA’s history. As for the possibility of seeing the platform show top-level men’s football live, Theodoridis referred to 2021 and the end of the current cycle of TV rights for club competitions. “When these rights expire, we will see with the clubs what are the possibilities to have live matches,” he said.